Water slide decal (not a sticker). Emerson treble-clef logo is gold with black outline, in 2 common sizes. Packaging Dimensions 4 in. x 2 in. x 0.008 in. Just put them on last night between coats of Minnwax Polycrylic spray. They turned out really well. I can't tell they are decals. 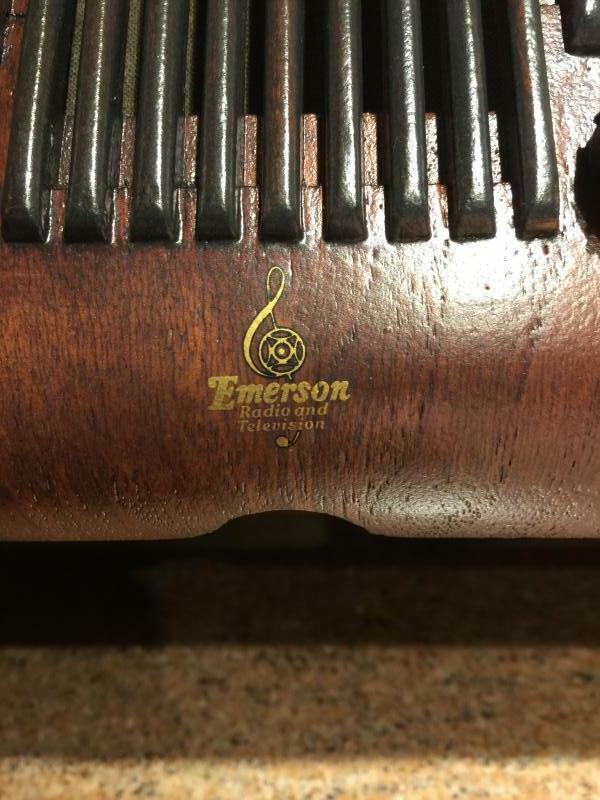 I have uploaded a photo of the Emerson trademark decal. The others look just as well. Two coats of Polycrylic on top of the decals. Asked by Anonymous on March 3rd, 2018. You will get two Emerson logos in two different sizes as depicted in the photo with the additional labels.